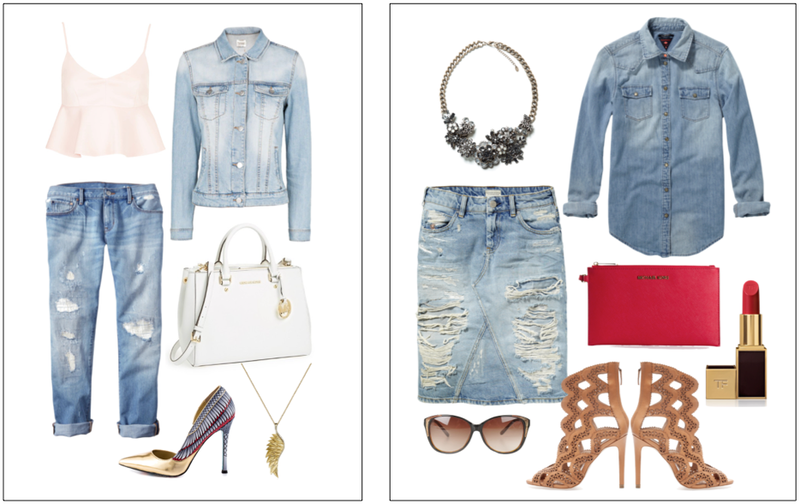 The Fashion Guide Blog : Rule # 30: How to wear head-to-toe denim. First of all my apologies for not posting anything in the last week but I've been on holidays in the fantastic state of Florida! Looking for sun and the warm weather! It was amazing! So now I'm back, with my batteries fully charged so, let's keep it up. 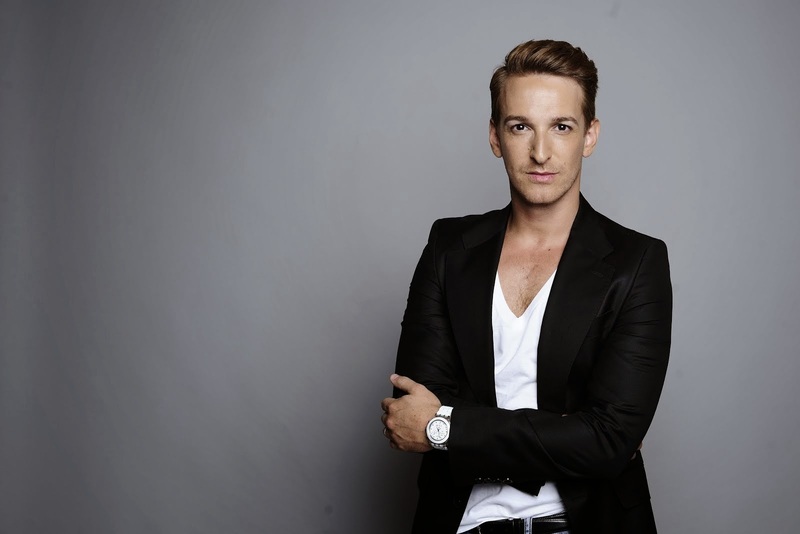 Today I bring you some ideas of how to wear head-to-toe denim. 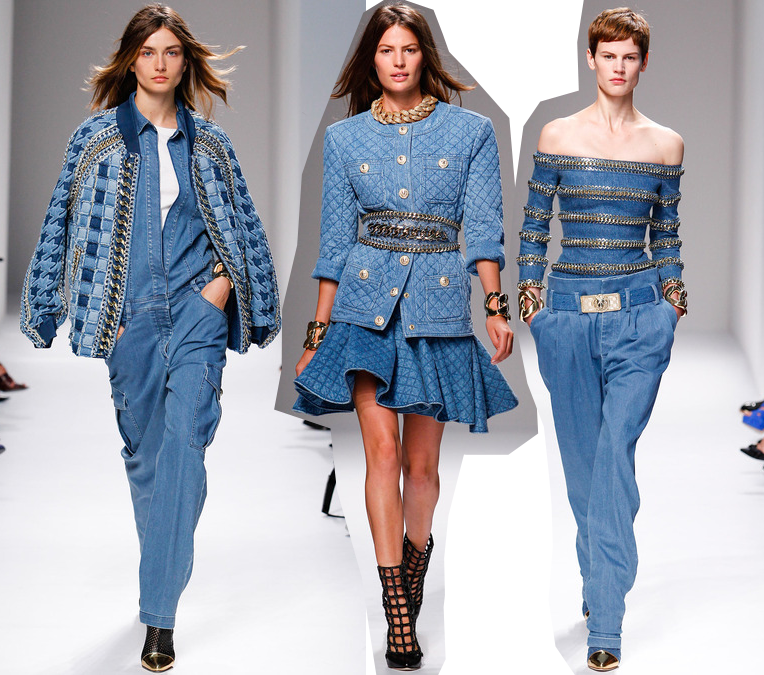 As you all know denim is always in fashion. It doesn't matter if it's winter or summer. It's one of the most versatile materials and you can dress it up or down depending on your mood. 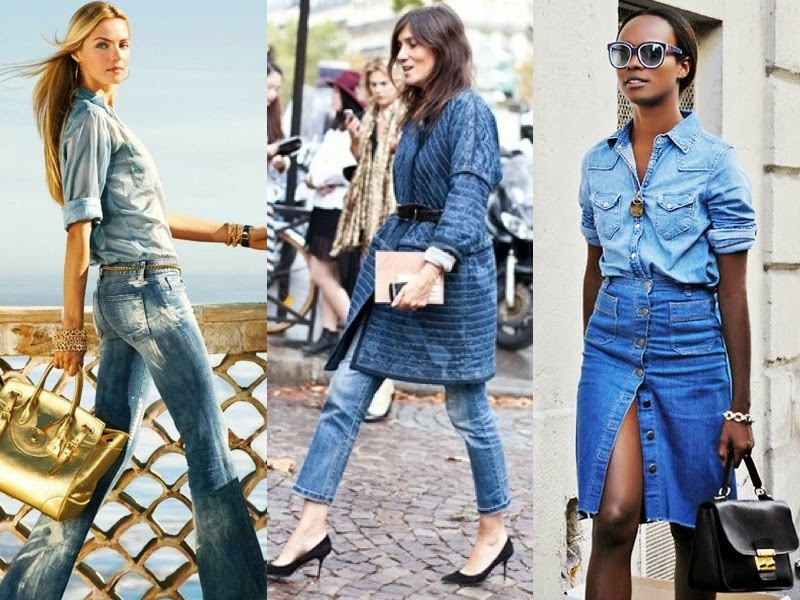 Lately all the big names in the fashion industry have been using denim as the main material of their creations and we have seen it in all runways, from Balmain to Chanel. But how to be bold and confident and be able to pull out a head-to-toe denim look? It's easy. Two-toned: One of the most important things to know about wearing denim head-to-toe is that your shades of blue don't have to match. In fact, I think it keeps the look more interesting when lighter denim is paired with a darker wash. Throw on a pair of lighter boyfriend jeans, a basic tee, and a dark denim jacket for a two-toned look that will actually appear fashionably put together. Spice it up: Try to wear ripped jeans with more cleaner cut denim (more preppy) pieces such as one of the looks I've created for you, the ripped denim skirt with the tucked in denim shirt. 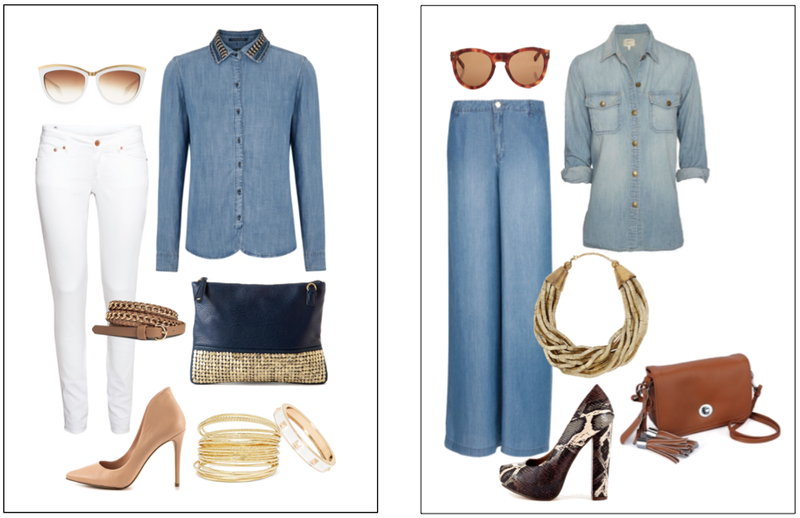 Take it to another level: Denim is not exclusively for clothing but can also be used for accessories. Don't be afraid and get yourself a 'in' denim bag. You'll be the trendiest girl! 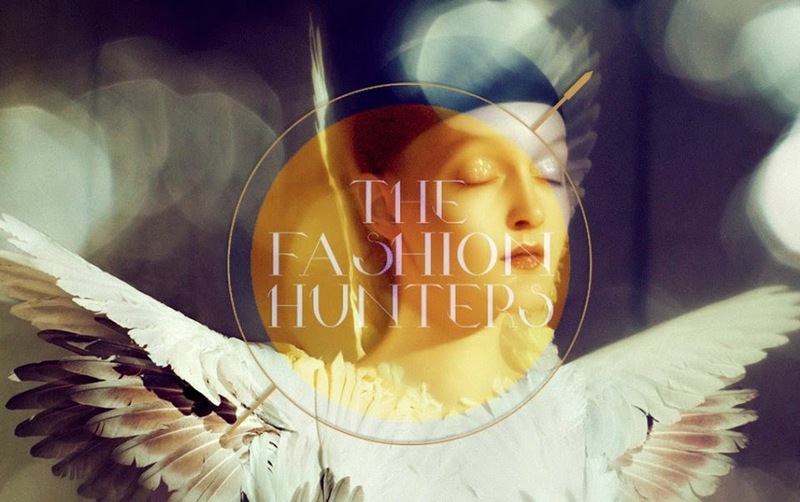 Check out all the looks I created for you. What do you think? LEFT: Top, Topshop. Jeans, GAP. Denim jacket, Mango. Bag, Michael Kors. Shoes, Heels.com. Necklace, Aristocrazy. RIGHT: Skirt & shirt, Maison Scotch. Necklace & shoes, Zara. Sunglasses, Ted Baker. Zipped clutch, Michael Kors. Lipstick, Tom Ford. LEFT: Jeans, GAP. Shirt, Intermixonline.com. Shoes, Heels.com. Clutch, Pret-a-Beaute.com. Necklace, Aristocrazy. RIGHT: Ripped denim shorts, Laura Scott. Denim sleeveless jacket, Nelly.com. Sandals. Zara. Bag, Persunmall. Sunglasses, Celine.